When it originally came out in 2016, the cover of this collection said Villa del Parque, which refers to a neighborhood in Buenos Aires that Consiglio called home for much of his childhood and that, somewhat surprisingly, none of the stories ever explicitly mentions. It’s a title, in other words, that resists an easy rendering in English. 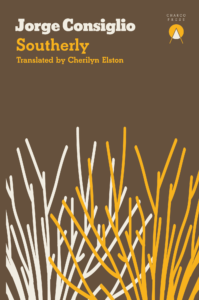 Yet just as she does throughout the collection, translator Cherilyn Elston locates an elegant solution in a simple substitution: making the title of the first story also that of the collection itself. In Spanish, it was “Diagonal Sur,” a street in the center of the Argentine capital that briefly and obliquely cuts across the grid. 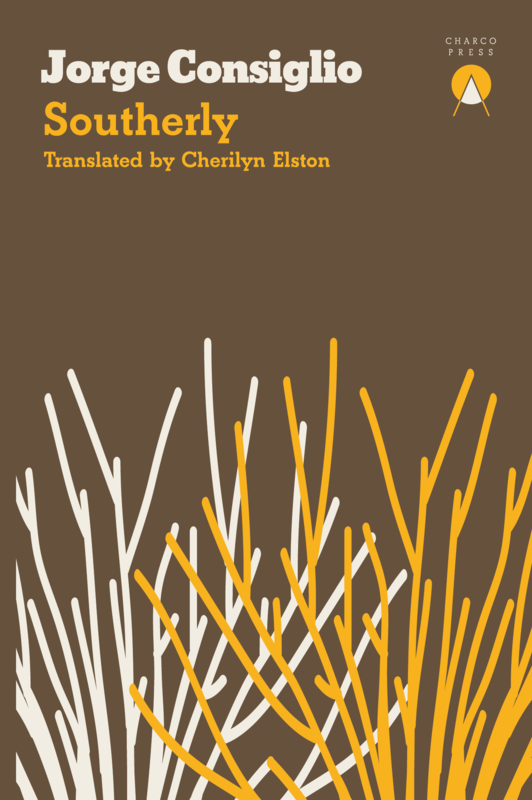 With “Southerly” Elston lends the title a degree of accessibility for English-language readers while still capturing what these seven stories evoke: a wanderlust that pursues a direction without any demand for a destination. Fellow Argentine writer Gabriela Cabezón Cámara suggested that Consiglio resembles a surfer who “will ride the wave and its curl, allowing us to see it in all its splendor.” It’s also a fitting description of his narrators, who understand that the lure of a wave, like that of a story, lies less in what it moves toward than in what happens on the way there. Attention to the effects of details on a structure takes on a literary tenor in the first story, a deft rewriting of Jorge Luis Borges’ “The South.” Consiglio not only modernizes what the author of Ficciones called his favorite piece — the vehicle of choice, for instance, shifts from a train car to a Kia, and an iPad rather than the Arabian Nights now causes an accident — but also emphasizes new elements. Where Borges’ story recounts the journey of librarian Juan Dahlmann out to the pampa, Consiglio’s traces the troubles of aging real estate agent Anatol Zakowicz, whose business always strives to locate “the perfect combination of something both straightforward and unusual” for clients. The same holds true for Consiglio, who masterfully builds to a moment described as a “limbo of calm” that precedes a fit of road rage, which in turn prompts a standoff that perfectly matches the pitch of Dahlmann’s decision to pick up a dagger. Canedo, the protagonist of “Travel, Travel,” is something of the opposite: a soon-to-be 37-year-old who cannot quite restore for resale what was once his family’s house out in the country. Ambition outstrips aptitude for this character who, more than anything else, has “mastered the art of traveling without moving.” His hope to convert his childhood home into an easy profit mirrors his marital infidelity. It is the same shallowness of his desires which prevents him from making any progress on this project whose initial, imagined appeal dissipates when he is confronted with the concrete labor it actually requires. Consiglio’s subtle touch is that Canedo’s lack of productivity does nothing to diminish the value of the land, which two buyers hope to purchase (preferably without any real estate agent, they suggest) in order to tear down the house and build a new one. Of course, the combination of bodies and real estate raises the question of possession, which Consiglio traces back into the nineteenth century in “The Night Before.” It depicts the visit of an unnamed indigenous woman to the camp of Colonel Roca, who led the infamous Conquest of the Desert campaign to rid Patagonia of autochthonous peoples and bring the land under the control of the Argentine state. The violence of primitive accumulation is paired with consistent attention to the difficulties of communication: both the soldiers and Roca himself struggle to find the right word in a language they master, and the indigenous woman struggles to speak in Spanish, a process memorably characterized as being “mounted on words that are a herd of fleeing horses.” If the theme of the encounter has been a staple of Latin American fiction from the colonial period up to the present, Consiglio breathes new life into it by homing in on the particularities of language, space, and the wavering of resolve that results from a simple act of speaking up. The collection’s longest story, “Jessica Galver,” addresses the possession not of land but of bodies. The eponymous character is a patient at a clinic for the morbidly obese where some of the doctors begin to think of the body less as hers and more as theirs as they engage in drastic measures like thermotherapy. It leads one of Jessica’s caretakers, who also narrates the story, to become concerned because all of this echoes something from her life: one of her romantic partners serves as the dubbed Spanish voice of Breaking Bad’s Walter White. This idea of a body possessing another voice finds a quieter but more disturbing counterpart when the caretaker develops such a fondness for Jessica that she takes it upon herself to make a fateful call. In the two remaining stories, a routine run takes a strange turn, and the rebellious occupation of a proscribed space results in some unexpected consequences. As in the rest of the collection, they resist any straightforward causality, preferring instead to linger on the side effects that Consiglio, who once worked as a pharmaceutical sales rep, understands so well. One hopes that a few more samples will soon make their way up from down south. Sam Carter is a writer and an editor at Asymptote, a journal of translation.